Is PCP the best route to getting a bargain? When new cars are sold at discounts in large volume, it can have a negative impact on used values. In simple terms, if a £15,000 new car were driven out of a showroom with the customer buying the car outright having successfully negotiated a discount of £3000, values of similar models in the dealer’s used car forecourt would be benchmarked against the transaction price of the discounted new one. It puts pressure on values on all used car models at various ages. But fewer of us are buying cars outright these days, with an increasing number of new car buyers choosing personal contract purchase (PCP) schemes, with monthly payments which can be tailored to suit individual budgets. Customers pay a deposit, which can range from a few hundred to a few thousand pounds, and at the end of the term the customer has the option of paying a large final payment to take ownership of the car or to hand it back. In some of these deals there is a dealer deposit contribution, or a sum of money from the manufacturer’s finance company, or labelled as from the manufacturer itself. As these cars are typically with customers for between two and four years before coming back on to the market as used cars, any discount built into the deal is invisible and the optional final payment for the car is a fixed and stable used value of it at the end of the term. If we take the Fiat Panda as an example, the 1.2 Pop version is available on Fiat I-Deal PCP with a built-in ‘customer saving’ of £1450 as well as a Fiat deposit contribution of £1400. The customer will pay £7597 over the full term including the final payment while the official on-the-road price of that car is £9375. For example, BMW’s current offer on a 5 Series Gran Turismo 520d M Sport includes a hefty customer deposit of £7259, but added to that is a BMW Centre deposit contribution of £2492, a BMW UK deposit contribution of £2500 and a BMW Financial Services deposit contribution of £1,250. That’s more than £6000 to help you drive home in that BMW. 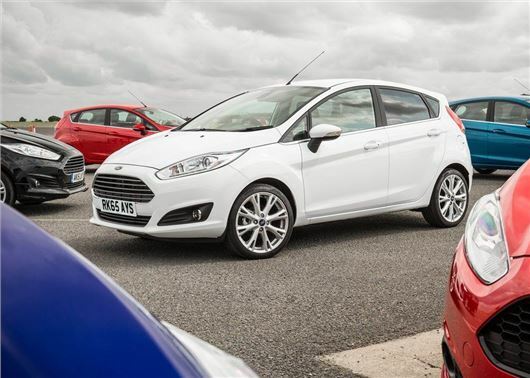 Over the 48-month term, the total payable is £45,686 with the optional final payment, but thanks to the deposit contributions, the customer would still end up paying less than the £40,830 cost of purchasing the car outright on the day you drive it home. One of the run-out deals on the Mercedes-Benz SLK roadster before it undergoes a light revision and becomes the SLC is particularly attractive. An SLK 250d AMG Sport auto, with an official on-the-road price of £37,665, is available on PCP for £339 a month with a customer deposit of £4,039.24. The Mercedes-Benz retailer deposit is £9262.47. Ultimately, including the optional final payment, the customer will have paid £32,218.24 for this car – more than £5000 lower than the price list figure. Not all deals are as generous, and buyers will need to sniff out the best deals, but they are out there. Particularly among cars that are nearing the end of their life-cycle and a manufacturer will have a run-out strategy to help dealers sell existing models before a new one is introduced. You haven't answered the question. You are only comparing PCP with Official on the road cost. Just a quick check on Drive the Deal shows you can get the later Model SLC 250D AMG LINE 2DR 9G-TRONIC for £28,695. You need to compare with the actual price customers will pay for a fair comparison to be made. Ahhh this is actually so incredibly useful! Honestly Im just terrible with knowing what to do with this kind of thing - cars get me confused enough as it is - top that off with finance and money and Im just completely at a loss - so this is genuinely really helpful! In terms of finance (I know this is probably a daft question) but is there a particular brand of car that gets you a better deal? For example are Peugeots going to get me a better finance deal than a Kia? Or is it totally down to the company you get the finance from? If so what are good companies I can go through to get the best deal? Is that admiral one a good one? My friend sent me this link to one called Nationwide (not the bank) www.nationwide-cars.co.uk/ - are they good? Or do I used confused.com or something? Honestly I have absolutely no clue so any advice or recommendations or anything would be much appreciated - single ‘no car mad boyfriend’ needs to really start to learn more about this kind of thing hahaha.